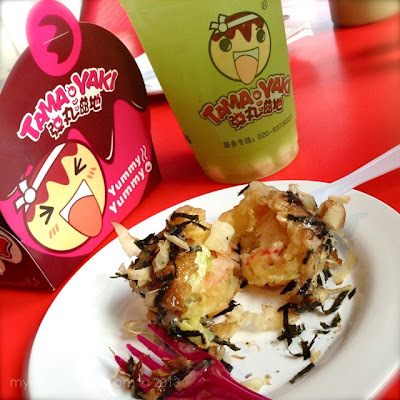 I'm a fan of milk tea and takoyaki. It's a winning snack combo. 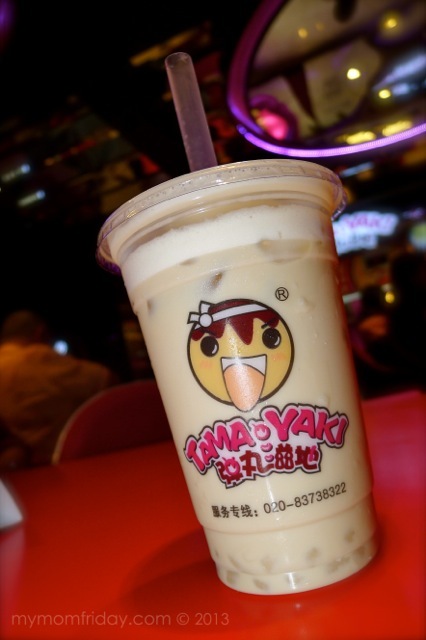 Local franchises of milk tea places have sprouted in our neighborhood over the past five years. I have my favorites from each one. 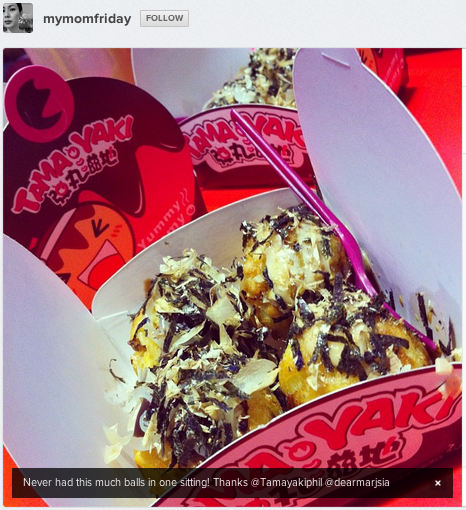 Then, there's the popular Japanese street food - takoyaki (octopus balls). 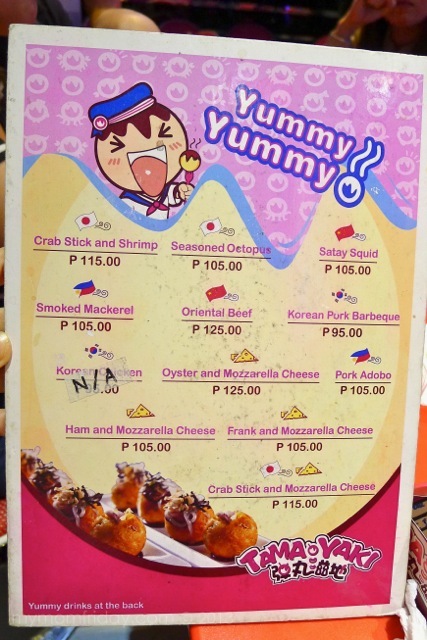 I have not been to Japan so I really don't know what to expect from a "real" octopus ball. But with several I've tasted locally, the quality varies in so many degrees. As long as they taste good to me, whether they're sold from food carts or at casual dining places, I'm sold. Last February, the sixth milk tea place in our neighborhood opened. 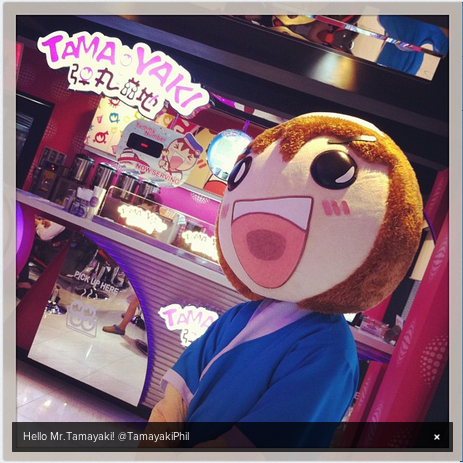 Tamayaki is a franchise from China and they serve a long list of drinks, not just milk teas, aside from an assortment of "takoyaki". We pass by this place almost everyday. Since I'm fond of the two items they are offering, it's but natural that I try it out. I think that IG post above was from my second visit a few weeks after their opening. 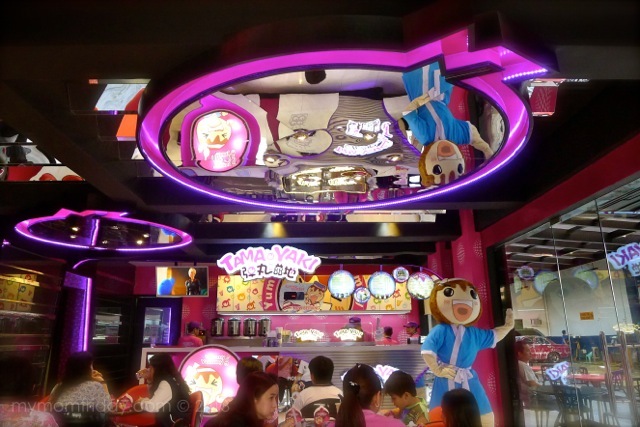 The place is very modern, with bright lights and ample seating area. They have free wi-fi but it's not working the few times we've been there. J and I thought they could have maximized the space if they used a more streamlined layout and space-efficient tables and chairs. The place is comfy nonetheless. That Crabstick and Shrimp is now a regular order. J and our girl got addicted too, and enjoyed hanging out here. 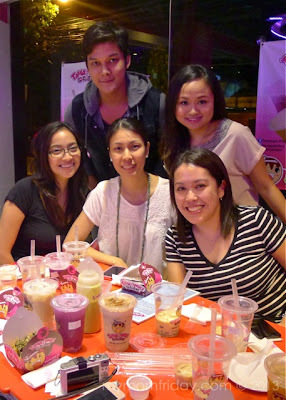 Luckily, I was invited to their bloggers' night last April 16. Of course, I said yes 'coz I wanted to try more of their food offerings, aside from the fact that I enjoyed what I ordered the first time I dined there. Here's Mr. Tamayaki, who welcomed us during the event. It does not have that alcohol taste as you might expect, but a very pleasant, light, smooth taste. Not too milky either, just the way I like it. Two thumbs up for this one. 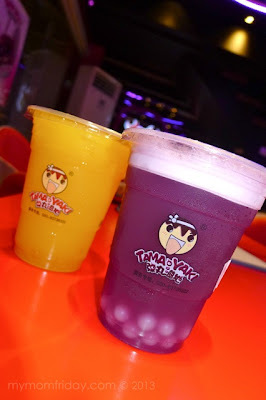 I rarely order juices from milk tea places so I took this chance to try their original offerings like these fruity drinks with a surprise add-on - popballs! Once you chew, the balls will pop juice out. Both the mango and blueberry were good, but I prefer the refreshing Blueberry. I was able to bring home the leftover for the girl, and she liked it too! I like corn... and corn shake... and mais con hielo. This version tastes similar, but with tea, complete with crushed corn and jelly. My new milk tea favorite. Who knew wheatgrass can taste this good? This cool drink is a cross between two favorites - wintermelon and pandan juice. I love this flavor, especially with the mochi bits. Another winner! Moving on to the savory takoyaki. 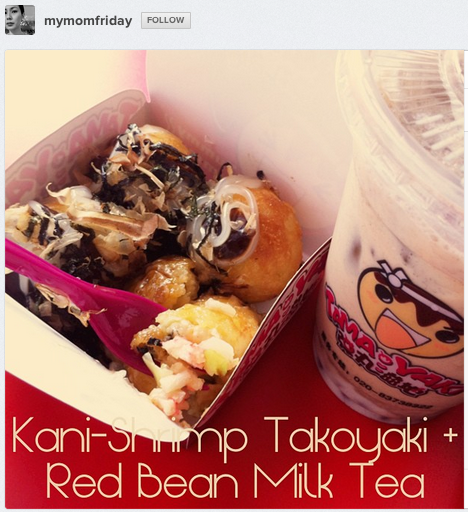 Tamayaki has 12 yummy fillings to choose from. My usual orders are the classic Seasoned Octopus and Crabstick and Shrimp, with spicy sauce. The balls are the size of meatballs, slightly bigger than golf balls. Each one is filled with veggies and your filling of choice. I like the crunchy outer shell of this chunky and chewy ball. 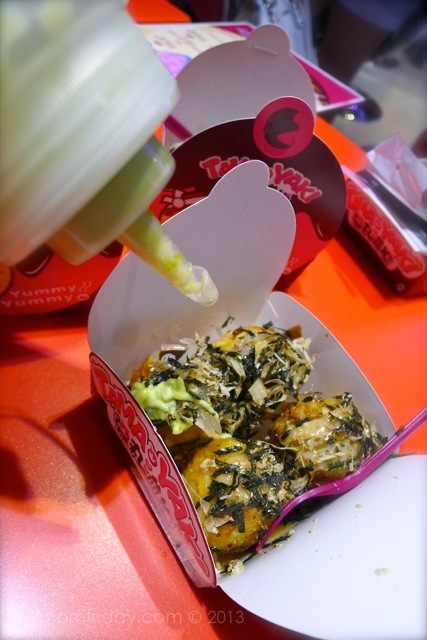 Each box has 4 balls, topped with a special sauce and mayo, and a generous amount of bonito and nori flakes. The spicy sauce has a light curry flavor to it. 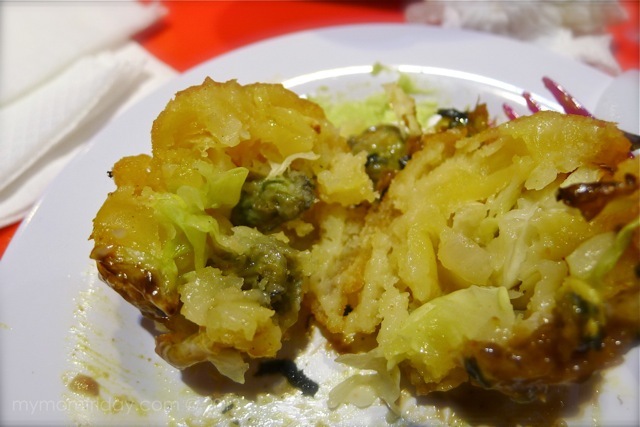 You can also request for wasabi sauce, making it extra hot balls! =) But too much sauce overpowers the flavor of the filling. Here's a shot of their menu for the balls and drinks with competitive prices. Look at our table! I left so full that early evening... we're the first batch of guests there. Thanks to the lovely sisters behind the franchise. I've been back several times after the event. My husband's usual order is Mango Aloe Black Tea. What I noticed though is that their Large Cup is much smaller that the large size of other milk tea places I've patronized. Bitin ang drink if you're used to having it large (like a grande). 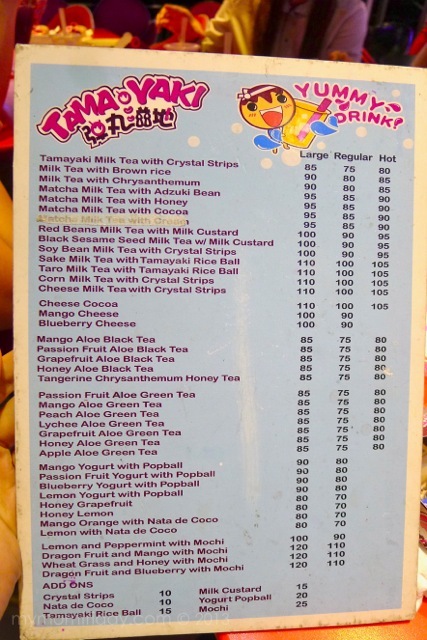 In effect, Tamayaki is more expensive by the cup, so I always order drinks that are unique to them. Here's my order from a recent visit. Expect a waiting time of about 5 to 10 minutes, since they cook the balls upon order. There was less sauce compared to orders in our earlier visits, so I think they need to work on the consistency as well. 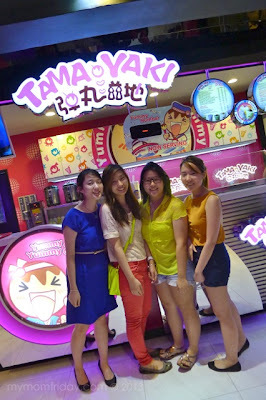 Overall, I am a satisfied customer, and will be going back for more flavorful drinks and takoyaki!